“Medicaid imposes an ‘implicit tax’ on beneficiaries.” So stated a major report released last week by U.S. House Budget Committee Chairman Paul Ryan. The report provides an overview of the complex patchwork of anti-poverty programs in the United States. Unlike the uninformative sound bites that often pass for analysis inside the Beltway, this report is notable for its attempt to summarize part of the vast academic literature about the intended and unintended consequences of these programs. 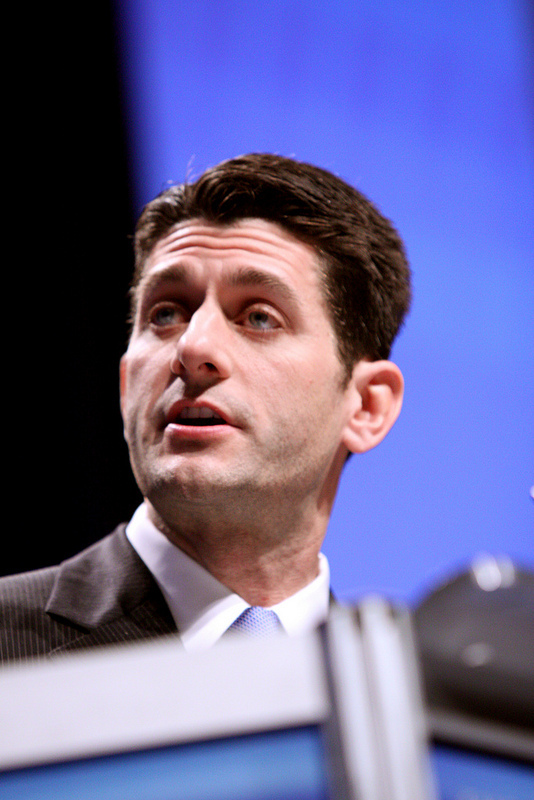 Rather than launch a substantive discussion of whether there is a better way to help the least fortunate among us, many commentators were more interested in the small political firestorm created when Fiscal Times reporter Rob Garver wrote that Congressman Ryan had misrepresented several studies that were cited. This claim was quickly sensationalized in the media and across the blogosphere (including the LA Times, New York magazine, Daily Kos, and MediaMatters, among many others), despite the fact that at least one of the claims of misrepresentation was incorrect, as reported by Charles Blahous in his e21 blog. (Note: the Fiscal Times subsequently issued a corrected post). The study in question – the one that Congressman Ryan got right despite the Fiscal Times claim to the contrary – was a paper I co-authored with Amy Finkelstein of MIT. This paper, published in the 2008 American Economic Review, estimated that Medicaid could explain the lack of private insurance for about two-thirds to ninety percent of individuals, even if no other factors limited the market for insurance. This despite the fact that long-term care expenditures constitute one of the largest financial risks facing the elderly in the United States and play a central role in determining the retirement security of elderly Americans. You can read the full news here. Medicaid Is Just Fine, Isn’t It? In my opinion, long term care insurance is the most economical way to pay for long term care services like caregiver, nursing home, assisted living facilities and the likes. Having coverage can protect your savings, assets and as well as your family while you receive ltc. There are other payment options available like Medicaid and life insurance but if you want comprehensive coverage, you should choose ltc insurance. You can read more about this payment option right here: http://www.ltcoptions.com/learn-the-basics/how-can-you-pay-for-long-term-care/long-term-care-insurance/. True, there is no sign above the door in your facility stating if you are paying the full bill for care or if Medicaid is paying the bulk of it. However, getting in to the facility you would like to be in can be very difficult. Medicaid does not pay the same amount to a LTC facility as you or I would if we needed to be there. If one spends down to Medicaid impoverishment and applies for Medicaid benefits, the facility cannot ask us to leave due to the change in payment source. Partnership Long term care programs are basically implemented for people with families who are in the middle class range. Those families who cannot afford to purchase their own long term care due to the fact that their income is not sufficient enough to actually avail an LTCi program. There is a three year program available for people who are interested in buying this policy, and after they exhausted its benefits, they can inquire on how to avail Medicaid services from the Government. One of these programs is called Medicaid, a government funded long term healthcare for the people who are not that rich to afford their own long term care insurances. Medicaid is run by each state where they conduct and look for people who are eligible to be included in the Medicaid program. Medicaid is specially designed for low income citizens’ especially single mothers who are already supporting one and sometimes more child at ones. Included in this program are the traditional healthcare insurance covers, like the periodical doctor visits, hospital and medical expenses. Medicaid also covers the expenses from staying at a nursing home or sometimes in-house home care, which is, at this time the biggest expenses the Medicaid is facing. 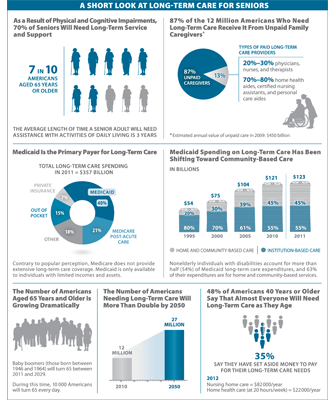 Long term care programs such as Medicaid can really help the less privileged to get through their problems concerning their long term care healthcare. This will not only help them financially, but also emotionally because, at this time where they are already weak and they have no other family they can turn to, they need all the help they can need. And through Medicaid, the Government helped the ease the pain of loneliness and depression, helping them in a variety of ways. Medicaid also helps with some non-traditional healthcare expenses like, medical equipment such as wheelchairs, oxygen supplies, adjustable beds, canes, eyeglasses, and other medical equipment that is possible to be given using Medicaid. Without the help of Medicaid, these kinds of equipments would be very hard to impossible to be acquired by low income citizens. But the way Medicaid is handled varies on each state; some states will have more focus on traditional healthcare covers while some other states would focus on things like medications and medical equipments. Although it is true that not all of the citizens can be included in this long term care program, Medicaid still helps a lot of single parents, especially mothers, and families with limited income capacity. This might be not that important to rich people, but to these people, who have suffered enough, will take this with the utmost gratitude. There are other programs done by non government organizations, but these are not like Medicaid where its goal is long term. These NGO’s can only provide help on the spot, and give temporary help to poor people not like the program done by the government, but this is understandable because all of the funds of these NGOs only comes from charity and most of the time, the organizers shoulders part of the expenses. When it comes to addressing long term care expenses, most people say that Medicaid will cover for their expenses. Though this federal program can pay for long term care services, not everyone can qualify under it. If you’re looking to this program to cover your long term care needs, you must first know if you are eligible. Medicaid qualifications may vary from state to state. Some may cover certain groups, while others can’t. However, applicants need to meet general, financial and functional requirements. Overall, applicants needs to be a citizen of the United States or were able to satisfy immigration rules. Furthermore, they need to reside in the state where they intend to apply for Medicaid coverage and must possess a Social Security number. If you are 65 years old or older, permanently disabled, blind, pregnant, a child or someone who takes care of a child, you could be qualified to receive Medicaid benefits. 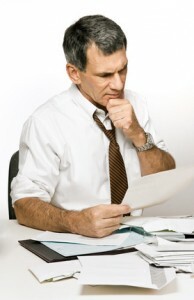 Your need for long term care should be substantiated first. It will be assessed by a nurse or a social worker in the state where you’re applying in. Apart from determining if you really need long term care, they will also figure out which care setting is suitable for your situation. Your ability to perform Activities of Daily Living (ADL) will determine your eligibility. In evaluating this, they will see if you need the assistance or unable to perform basic activities such as bathing, eating, getting dressed or transferring. The amount of your income and assets is also a determinant of whether or not you’ll qualify. Some of your income and assets are counted, while others are not. For instance, your checking and savings accounts are countable while your place of residence is not. Some people turn to spending down their assets. If you have an amount of savings and possessions that are too much for Medicaid’s standard, consult a financial expert to see if spending down is really the best option for you or if there are ways that you can still qualify for Medicaid without letting most of your assets go. Medicaid can be helpful especially if you don’t have the financial means to pay for long term care services. However, this should not be your only option in addressing this need. As early as now, start planning on how you will face long term care needs in the future. Explore different financial strategies and consider how long term care insurance can be beneficial for you. If you take time to prepare, you’ll have that sense of assurance that your quality of life and finances will be preserved even if you need long term care in the future.